The BWSB Team received Origin Performance Whey a few months ago alongside ORIGIN PRE and ORIGIN AMINO. While taking these Origin products, our team has been having an awesome time both in and out of the gym. For starters, PRE is absolutely insane. Pair that up mid-workout with AMINO’s 8 grams of BCAAs, and everything gets taken to the next level. But, when all workouts come to an end – there is nothing like finishing the day with a quality protein drink. Not some 90’s foul-tasting chalk-chocolate chunk shake though, we mean, something that tastes great and goes down easy that is fully bona fide with quality ingredients and dosages. Origin Performance Whey meets that criterion. Origin Performance Whey goes beyond the standard protein shake by a long shot. Origin Performance Whey is a whey protein isolate. That means, that each serving of Performance Whey contains protein free of the lactose, low carbs or fats, and other things associated with milk. Why is this special? It’s special because typically you’re buying whey protein concentrate, or simply, protein concentrate when you buy protein powder. That stuff, is instead ‘concentrated milk protein’ which is not as quickly absorbed by the body as well as has a lower actual protein content percentage. 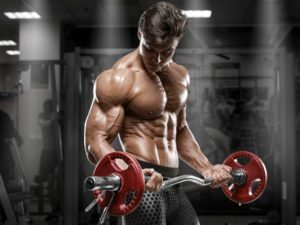 Aside from being way better on paper, Whey Protein Isolate has been found to digest much better without GI distress in guys with sensitive stomachs, as well as for those lactose intolerant. Since Performance Whey contains next to no carbs or fats, its supplementation ability is massively diverse. Theoretically, you could add Performance Whey to every meal if you wanted to, in order to meet a higher protein macro profile. 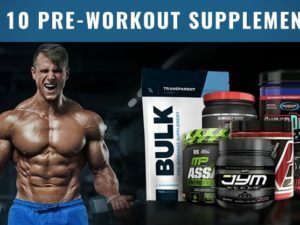 Despite getting thousands of dollars in supplements every month, the BWSB staff is pretty frugal and real-food based for bodybuilding nutrition. With that in mind, we primarily take whey protein isolate immediately post workout. This is preferably with some real food too. From a dietary stand point, eating real food is 100% effective for building muscle. Protein shakes on the other hand are what can be used to top-off real food, or, replace real food when it’s a ‘protein shake or nothing’ type of scenario. Compared to all the other protein shakes out there that we have tasted, Origin Performance Whey tastes incredible. We received both Chocolate and vanilla flavors and both were amazing. Overall though, chocolate was the best. As with all whey isolates, the consistency was light. That means, that if need be, you can double your serving in the same aliquot of water. Alternatively, you can also mix Origin Performance Whey in some milk to get some fats and carbs in there, as well as make it taste even more fantastic. As you can see from the labels above, Origin Performance Whey contains 25 grams of high quality whey protein isolate per serving. In addition to that, there are 3 grams of carbs plus one gram of fat for the chocolate flavor. For vanilla, there is only 1 gram of carbs and half a gram of fats. Overall, this profile is pretty great and we love getting 28 servings for the decent price. Overall, Origin Performance Whey is a fantastic whey protein isolate. It tastes great, comes in both chocolate and vanilla, is low carb, and is priced reasonably. In addition, this is also the company that makes ORIGIN PRE and ORIGIN AMINO, which are impressive pre workout and BCAA supplements (we don’t compliment often either). With that being said, ORIGIN earns our stamp of approval as a quality supplement maker. And let it be known that this is saying a lot considering how new these guys are. We are willing to put our ‘approval’ on the line for a brand that is following the people’s suggestions of moving this supplement industry into a higher quality, fully disclosed direction!